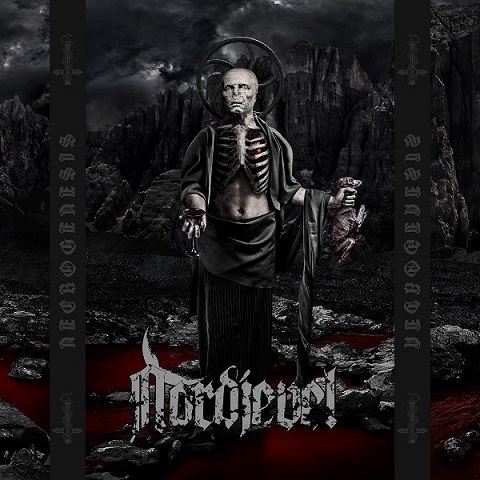 Back with a new line up and layered with an even heavier and grueling sound, Nordjevel is a force sure to smash the listener in the face with their 2019 released album Necrogenesis. 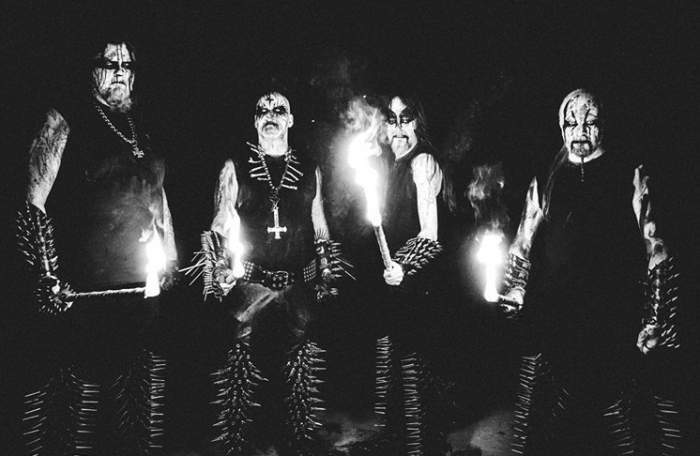 Doedsadmiral, the mastermind behind this most barbarous and dimmest Black Metal band has worked his evil with this one. If you appreciated Nordjevel‘s 2016 self-titled album and felt its heaviest matter, think next level with this latest release. The first track ‘Sunset Glow‘ was an exceptional start, setting the foundation for what was to be a divine ride of dense aggression, anguish, and pain. Doedsadmiral in his own and distinctive style delivers unrelenting and excruciating vocals to a backdrop of heavy (chunky at times), unique riffs, double kicks, and blast beats. “The Idea of One-Ness“. Could there be a more delicious riff and void of light vibe going on within this song? This track will cure all your dark and sinister cravings. The Black Metal prone will appreciate this sneaky sly number given the sensational mess that it is. Think gritty, dirty, filthy music with exceptionally taxing vocals. 13:22 into this masterwork, they give us “Black Lights From The Void“. Now its exciting times when you hear darkened and evil metal as brutal and captivating as this one and thus, it truly was the star of the album in my opinion. A not so easy call for me to make, given all 9 tracks are brilliantly executed. Necrogenesis is a Black Metal dark stone! A blackened gem, and an utterly errant experience.The weight behind this album cannot be faulted. There is no rest from the viciousness this band spits out with force. Nordjevel in just 3 years have shown growth and maturity in their sound, moving from pure blast beat tracks to at times, obscure and offbeat rhythm, saddened yet scary and the darkest black metal trilled riffs to a canvas tainted with the stench of the blasphemous and self-loathing lyrics with extremely convincing gutturals and screams. Necrogenesis is an excruciating and callus listen, one that you will break your neck too.